Seeing as it is getting closer to Spring/Summer (yeah, i know saying it's near summer is a bit ambitious and that January is nowhere near summer but i am sick of all the rain and just want it to be summer!) I thought i'd do my personal fake tan essentials! These are what i'd use for pre/post tanning. 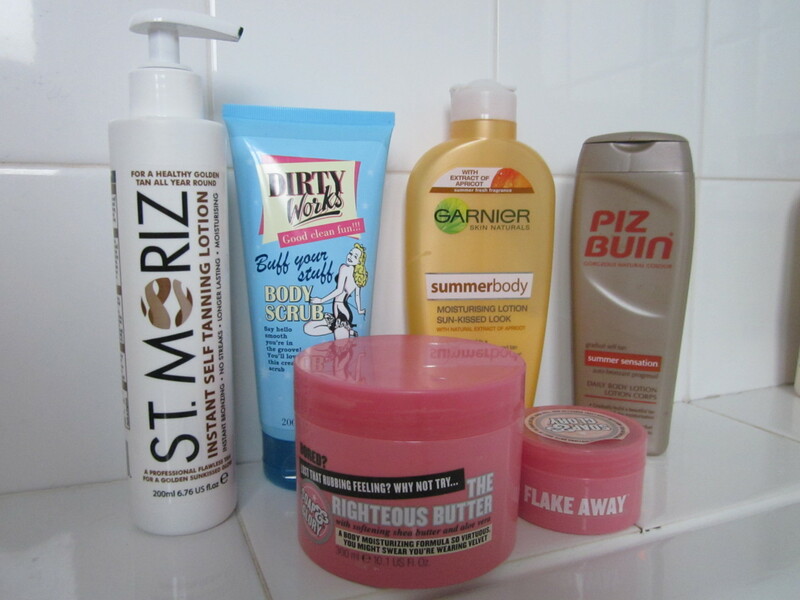 The Dirty Works Body Scrub is a not a harsh body scrub as the Soap & Glory one, so if I want exfoliate more often i would use this one instead of the Soap & Glory one, which is really good but can be a bit too harsh if used too often. The Soap & Glory Righteous Butter is a really moisturising butter which sinks in quite quickly and smells delicious! I would use this the night before tanning, as it could be quite oily if you used it just before. 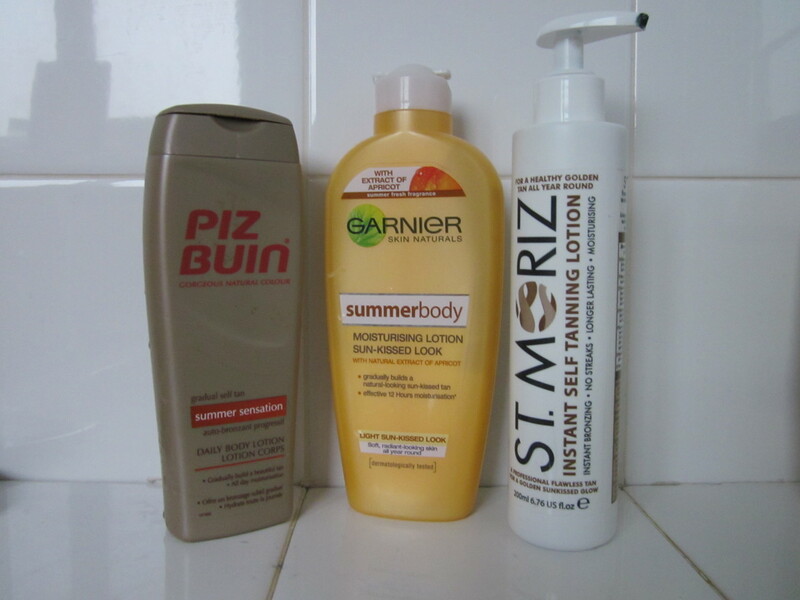 I like to use instant fake tans like the St Moriz (which retails for around £2.99) mousse or lotion on my body, and gradual tan like Garnier Summer body (around £5) and Piz Buin (£2.99) on my face, as i think it isn't as drying and looks more natural! So I know it's a bit early to start talking about fake tanning regimes and essentials etc. but i thought i'd do it a bit early! ha ha! Hope you enjoyed reading - comment your fave fake tan products down below! 4 comments on "fake tanning essentials"
I try fake tans every summer but none of them turns out to be really good. They don't give a natural look. Hope this works! This is a very biggest problem these days. Cosmetics are coming with fake brands.The worst thing is its very difficult to judge whether its fake or original from the packing.